Turn Key Decor, LLC is a full-service interior design firm based in Reno and serving Northern California and Nevada. Our goal is to make interior design accessible and enjoyable to all. You can choose the services that best suit your project and your pocketbook! 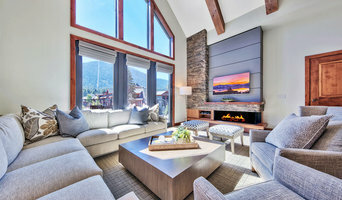 Aspen Leaf Interiors is a full service interior design firm located in Lake Tahoe, from concept development to implementation. Our diverse design team has been locally and nationally recognized for delivering award-winning homes that reflect the beauty, style, and elegance of our dynamic clients. We love Mountain Modern, Rustic Lodge, Clean Contemporary, Minimalist, Traditional and Transitional interior designs. We believe in designing spaces that reflect the lives of the people who live in them. We are driven to create extraordinary spaces that are personal and distinct, environments that inspire and delight, and details that envelop you in luxury and beauty. In our firm, we value showing up every day inspired and full of ideas, eager to create unique design solutions for each challenge. We believe in listening closely to the client’s requirements, observing the structure and programming of the architecture, and looking for hints at what the space wants to become. Our creativity, coupled with collaboration, has put our award-winning design team at the leading edge of exceptional interior design. We create individual and unique designs that are inspired by you and how you live in your home. Specializing in new construction and remodel projects with and emphasis on kitchen and bath designs. Licensed by the Nevada state board of Architecture. Space planning, furnishing placement, fireplace designs and lighting details are created to your unique home design. Small commercial design projects are welcomed and very fun to work on. We love helping small businesses grow. 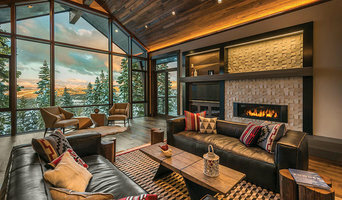 Lake Tahoe Skilled Interior Designer | 4x Best of Houzz! 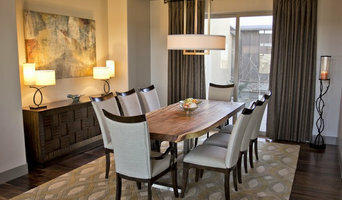 Elegant Avenue Interiors is a full service design center located at the Summit Mall, Reno. We specialize in window coverings, custom drapery and bedding, lighting, area rugs, custom furniture, flooring and accessories. We offer complementary in-home design consulting along with beautiful home accessories, accent furniture and unique custom jewelry, candles and gifts located at our Summit Mall store. Talie Jane Interiors is a full-service, luxury interior design firm specializing in sophisticated environments. Founder and interior designer, Talie Jane, is well known for her ability to collaborate with clients. She creates highly individualized spaces, reflective of individual tastes and lifestyles. Talie's design approach is simple. She believes that, "every space should tell a story in an artistic and beautiful way while reflecting the personalities and design needs of our clients." At Talie Jane Interiors, we listen, understand our clients and deliver within budget to provide beautiful, comfortable spaces. By utilizing an analytical and artistic approach, we offer creative solutions to design challenges. OUR PROCESS Whether a client is reinventing an existing space or visualizing an entire new home, Julie Johnson–Holland offers a straightforward design road map. Julie is well versed in a variety of design scenarios; be it a second home or condo where every aspect is addressed or an older home that begs for a face-lift. 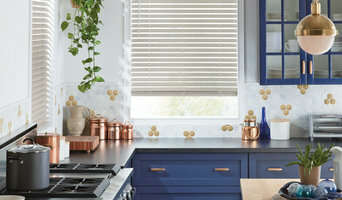 She can also help clients decide what items to keep, how to re-purpose items and how to re-organize an existing space. Clients are encouraged to bring in magazines or books that illustrate elements that they find appealing. 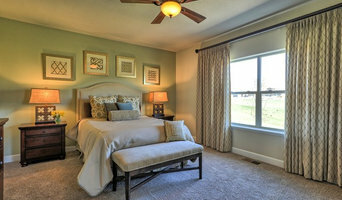 Or, if a room is to be inspired by a favorite piece of furniture or a vibrant rug, bring in a photograph of that item. Furthermore, architectural plans can also help to create a more detailed design vision. In turn, Julie will discuss your budget and basically how you plan to use the space. Do you entertain frequently? What about kids and pets? Any allergies? Is there a certain decorating style that you relate to? Based on your input, Julie will develop a plan and a proposal. After all the facets have been decided upon Julie will begin implementation. Julie makes a point on staying up to date with a different myriad of product lines. Importantly, her expertise helps to streamline the process. Before getting started, Julie will want to determine the scope of the work and then draft a letter of agreement that details, among other things, the retainer and/or payment schedule. Julie makes a point of educating the client on the intricacies of the evolving construction process. Some clients enjoy being an integral part of this process, while others take a hands–off approach, leaving the day–to–day decisions up to Julie. Either way, Julie keeps in close contact with the client, contractor and/or sub–contractors and makes regular job visits. Following Julie’s skilled design compass, clients save money, time and frustration ... and are left with a beautiful living space that compliments their own personal style. Gallery Keoki exclusively represents world renowned fine art photographer Keoki Flagg. Keoki's image collections span to globe capturing and conveying evanescence for eternity in a way that is unique, ephemeral, universal, timeless, tangible and real. Gallery Keoki singularly integrates Keoki's art, architecture and interior design through virtual image presentations that eliminate guesswork and trial and error. We specifically individualize the process to create unique works of art in any size and shape, including large scale, multi plane and multi panel solutions, to bring your vision to life and life to your vision. For your home, your office, and commercial or hospitality locations world-wide. Don’t Just Decorate… Define your Space Keoki Flagg is an award winning, internationally published adventurous fine art photographer based in Lake Tahoe. He has created images from all seven continents for global clients including Disney, VISA, National Geographic Adventure, Audubon, ESPN, Warren Miller Ski films, Men’s Journal and many ski adventure magazines. Summit & Sands Interiors is a design firm that focuses on designing quality living spaces for a second home or vacation home owners. We have created a niche in our field that allows clients to come to us for everything from A to Z, including new builds, remodels, and furniture selections, all the way down to the last place setting. We pride ourselves on our versatility in all styles and our ability to work with any budget. We are passionate about design and creating a seamless, streamlined process that any client will enjoy from start to finish. Our design company is run by a third generation Nevadan and located in Fernley Nevada. We like to offer services to the rural northern Nevada areas from Wendover to Hawthorne. After working with several interior design companies over the last 2 decades our lead designer, Katherine Pellett, started her own design team. Our team is here to "help your design dreams come true". We take care of the details of your remodel by closely working with contractors and vendors to take the stress out of the project for you. Our job is to translate our clients’ objectives and desires into designs that are unique innovative and functional within an agreed upon style. We believe every project is unique and requires unique solutions that reflect their personal taste. We work closely with architects, engineers, craftsmen and custom fabricators to achieve the projects goals on time and on budget. Close collaborations produce great results. Carol Faccinetti established her interior design practice over 20 years ago. The firm has worked in many residential and commercial projects, big and small, all over the west coast. Over the years the practice has added specialty services like LEED sustainable design and “Universal Design”.